A small addition allows room for a large kitchen with cherry cabinets and creates a large gathering space with plenty of formal and casual seating for all occasions! 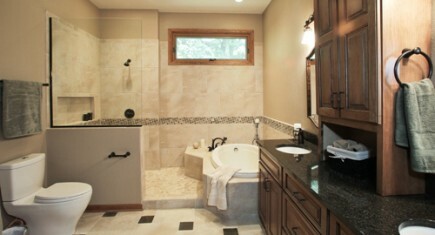 Create a spacious bathroom utilizing glass shower enclosures and natural light. 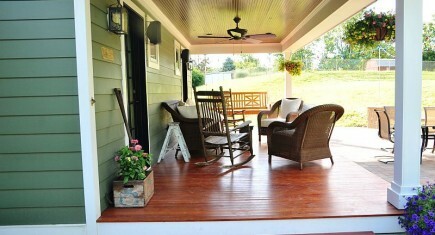 Whether it is new world or old world, we can create the setting you are looking for. Sit a spell and gather in the natural beauty of stained beaded fir ceilings, fir tongue and groove flooring and painted redwood siding. 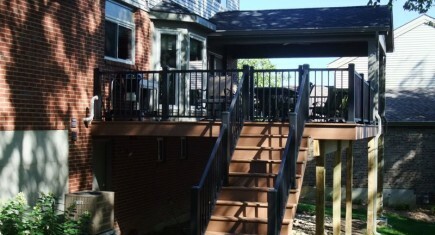 A deck with right kind of composite decking and railings will provide an inviting area to relax without the worries of staining and upkeep. Add the option of stepping into the shade under a roof with vaulted ceilings and a ceiling fan and you will be using your new deck all summer long! 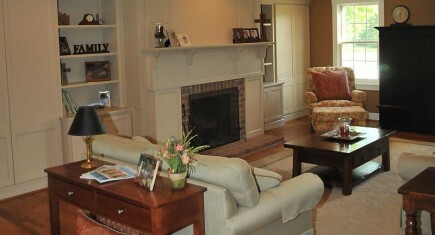 Increased hidden storage and open shelves flanking a colonial mantle can drastically change an appearance of a room. 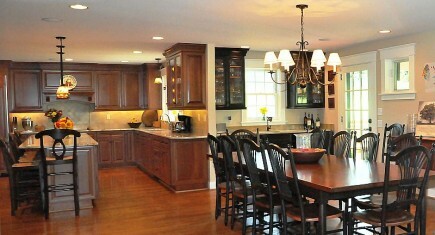 O’Donnell Construction takes the uncertainty out of the remodeling process. 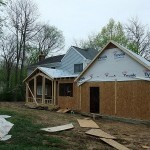 We are a full service general contractor serving the Greater Cincinnati area specializing in home remodeling, additions and commercial property renovations. Our designers, architects and craftsmen know how to take a nice remodeling project and turn it into a truly enjoyable experience as your project is completed on time and at an outstanding value. We are always there to guide and plan with you so the result is exactly what you were dreaming of, or maybe a little bit more. 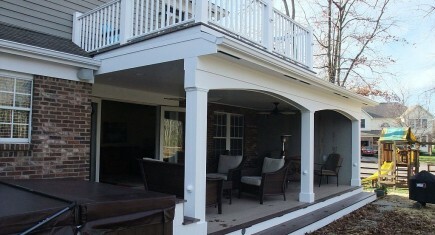 Coming Soon... A step by step look into our featured addition from start to finish! Whether you have a growing family or just love to cook, we will listen to what you envision and your needs and help to bring your dream kitchen to a reality. Need more space...move a wall, need more natural light...add a window. 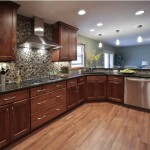 Whatever your desire we can redesign your kitchen layout in a way that makes sense for your home.